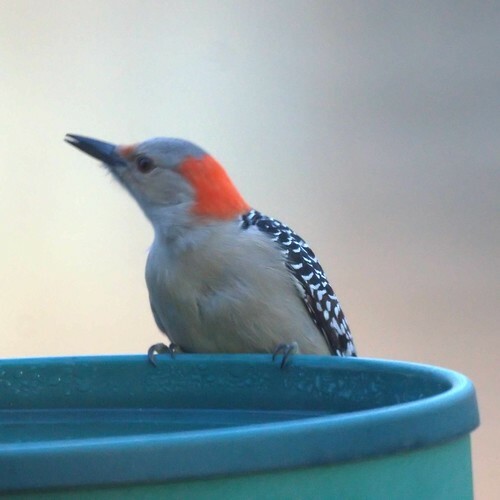 It's rare to find the red-bellied woodpecker at the birdbath. However, our heated birdbath is the only water that isn't frozen. 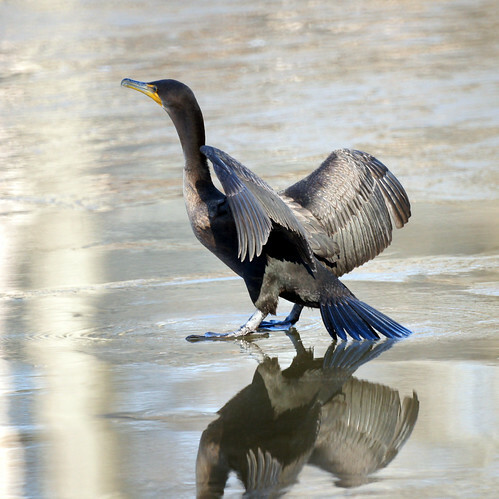 The cormorant is still hanging around, but we wonder what he's eating.